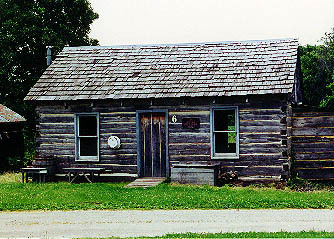 This log cabin was built in Foley, Minnesota in 1884. 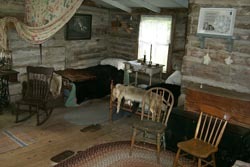 After each log was numbered, the cabin was moved to Pioneer Park and reconstructed. 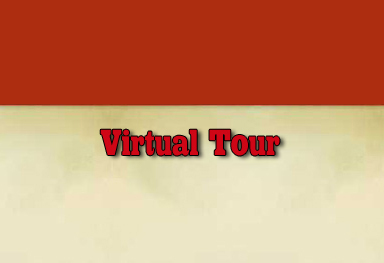 It is used to demonstrate living history. All the artifacts within the cabin are "hands-on" and user friendly. The cast iron cookstove is a working stove and oven which needs to be fed wood constantly in order to keep heating evenly. The damper control on the left side controls the amount of air allowed into the burning chamber. The dry sink is large enough to contain two enamel basins for washing and rinsing. The shelves and pegs provide necessary storage space for the pioneer woman of yesteryear. The sleeping corner would have been a housewife's treasure, for it would have allowed her to sew clothing for her own family and possibly augment the family income by sewing for others.